Sink sizes and design — An important component in the kitchen set is a kitchen sink or dishwasher. Part of this kitchen set has an important role to make us have to be careful in your selection. Then how to choose it to match the size and shape of the kitchen set and activity needs washing?. Please read the entire article. The selection of the right kitchen sink to wash your make work more comfortable and easier. Surely you do not want to choose a small kitchen sink, if you cook often enough activity, as more and more cooking activity, the more dishes you have to wash. Contrast also do not choose a kitchen sink that is too big if your kitchen small and more often you eat outside rather than cooking. 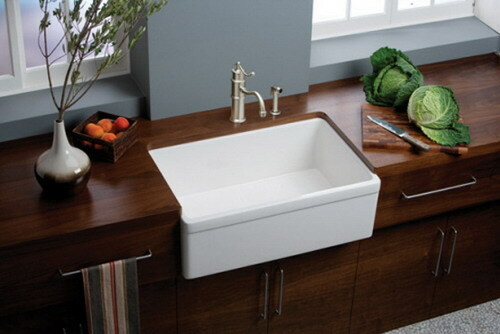 Kitchen sinks are made from various types of materials. 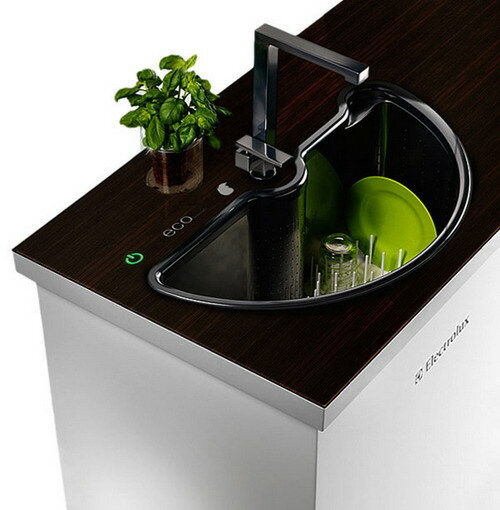 Just as the complementary accessories kitchen set, kitchen sink there is made of stainless steel. There are pure stainless steel, some are just coated metal. Sink made of stainless steel will look beautiful on the interior design of contemporary-themed kitchen set. In addition to the metal color that gives the impression of cold and minimalist, it is also easy to clean and the price is quite affordable. It’s just that the material is prone to scratches if exposed to sharp objects. In addition to metals, other materials are well known made of synthetic materials. This synthesis of a variety of material colors, looks exclusive and powerful. Suitable for classic designs themed kitchen set. If you want a natural impression, kitchen sinks of natural stone suitable for your kitchen set. Kitchen sink of this type are not often found so the price is also quite expensive. 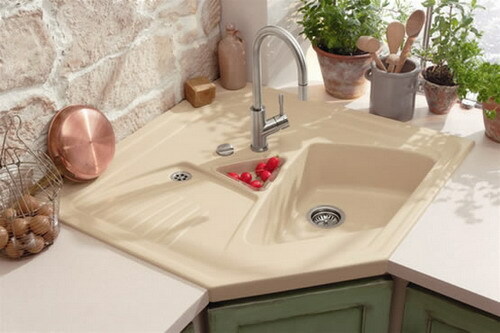 Currently there is some form of kitchen sink with a variety of materials to choose from. There are sinks with two holes (double sink), sink with one hole (single sink), sink a hole with drying area (single sink with drainer), and so forth. 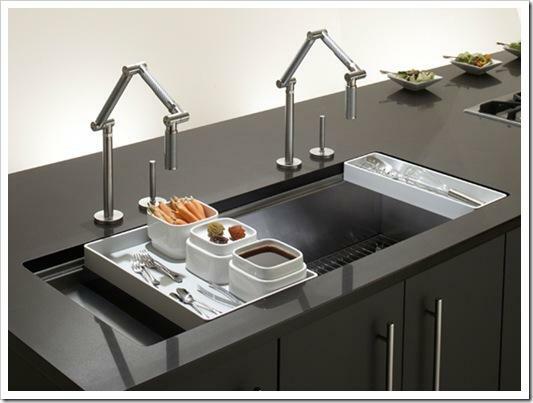 Use of the sink should be tailored to the needs and size of your shape kitchen set. If you have limited the size of the kitchen set, choose a kitchen sink with a standard size or with a single hole. If you use it for washing large kitchen appliances and lots of it to facilitate the work of select sink with a large size that can accommodate your tableware and cookware. For those of you who choose the kitchen sink with a wing area of the dryer or next to it, you should consider whether you are more comfortable the wings on the left or right. Try to be as comfortable as possible where the sink while you are doing dishes and other tableware. Whatever your choice later sink, make sure the hole size sufficient for cooking and washing device according to the interior design of your kitchen. Furniture Design, Kitchen Design sink sizes and design. permalink.